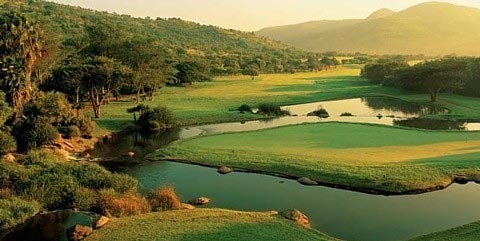 Enjoy a golfing tour and play on some of the best courses in South Africa, designed by golfing legend Gary Player and renowned golf course architect, Peter Matkovich. Combine this with fantastic game viewing in Kruger National Park, world-class gaming and entertainment at Sun City, and the beauty of Cape Town and the Cape Winelands, and you are set for a once-in-a-lifetime experience. Activities, some optional, include various game drives, a flight in a hot air balloon in the Pilanesberg, a cable car ride up Table Mountain and visit the most south-western tip of Africa, the Cape of Good Hope.